Welcome to January! It is so cold at my house and the wind is blowing so hard that it blew my back door open! This is not my favorite month of the year! I don’t know if you are like me, but January seems to be such a let down after the holidays and then it’s so cold that it seems like spring can’t get here fast enough! This is when I crave comfort food and that means warm, delicious soup. 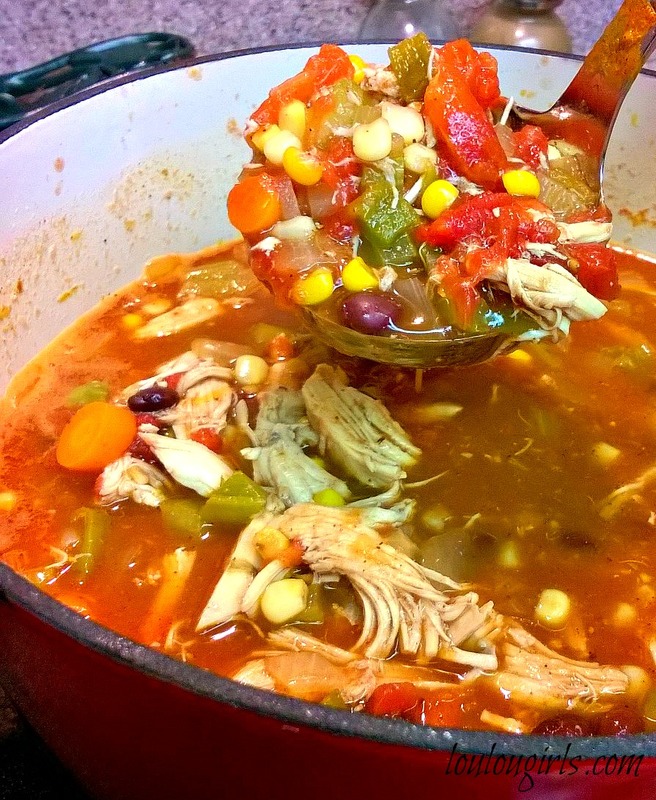 This chicken tortilla soup is so hearty and will warm your little heart that you will forget how cold it is outside! The best part, it is good for you! In a large pot, heat oil over a medium heat. Saute the onion and garlic in the oil until they are soft. Add the carrots and celery and continue to cook for 3 to 5 minutes. Stir in the chili powder, oregano, salt, pepper, tomatoes, and broth. Bring to a boil, and lower heat, simmer for about 10 minutes. Stir in corn, chiles, beans, cilantro, and chicken. Cover the pot and simmer for about an hour. When serving, everyone can top their own soup with tortilla strips, avocado slices, cheese and chopped green onions. Enjoy! This looks amazing! I am trying out gluten free this month and this looks like a great meal to add to the rotation! I love trying new soups. This one sounds yummy and easy! That's the best kind! I've pinned it to save and try! This looks amazing! I will be trying it out very soon! YUM-O!!! Soups are my jam 😉 I can't wait to try this recipe! Yum! This soup looks wonderful! I'm going to have to try this one. I came over on Think Tank today. Looks so good! Thanks for sharing. Found you by way of Imparting Grace’s link up. This looks so good. We have a similar recipe, but we don't use colored chips. After seeing yours, I'm gonna start! Thanks for sharing with us at the Tips & Tricks party. That's how I found you. We hope you'll come back and join us on Monday! Thanks for stopping by! I never miss your party! Oh my, I want a bowl!!! I'm pinning this soup. I will definitely be making it soon! Thanks for sharing at Submarine Sunday! This soup looks so divine and perfect for those winter nights. Pinning this. We will just love your Chicken Tortilla Soup! Thanks so much for sharing with Full Plate Thursday and have a great day! 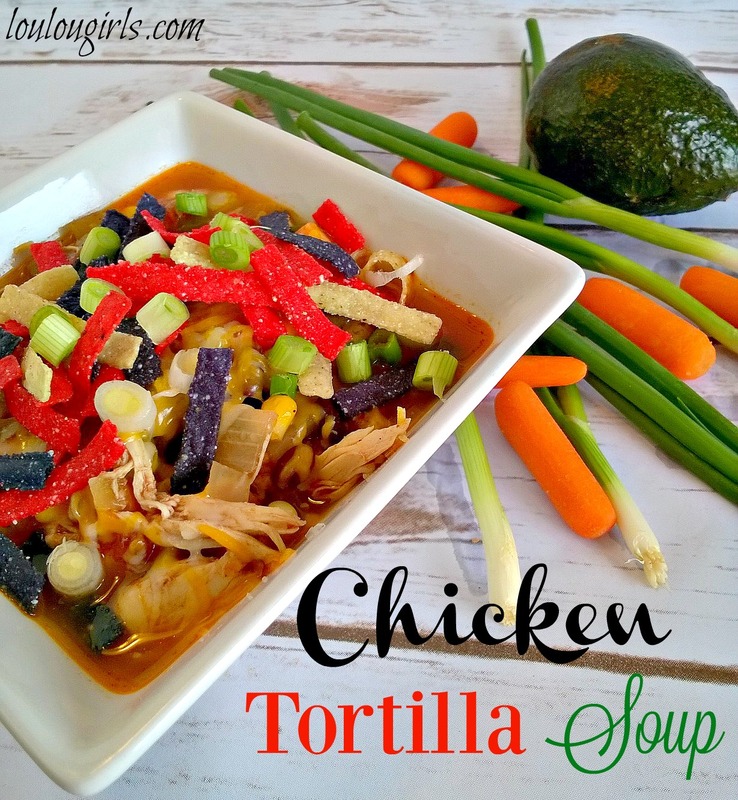 Delicious tortilla soup, thanks for sharing with Hearth and soul blog hop, pinning and tweeting. 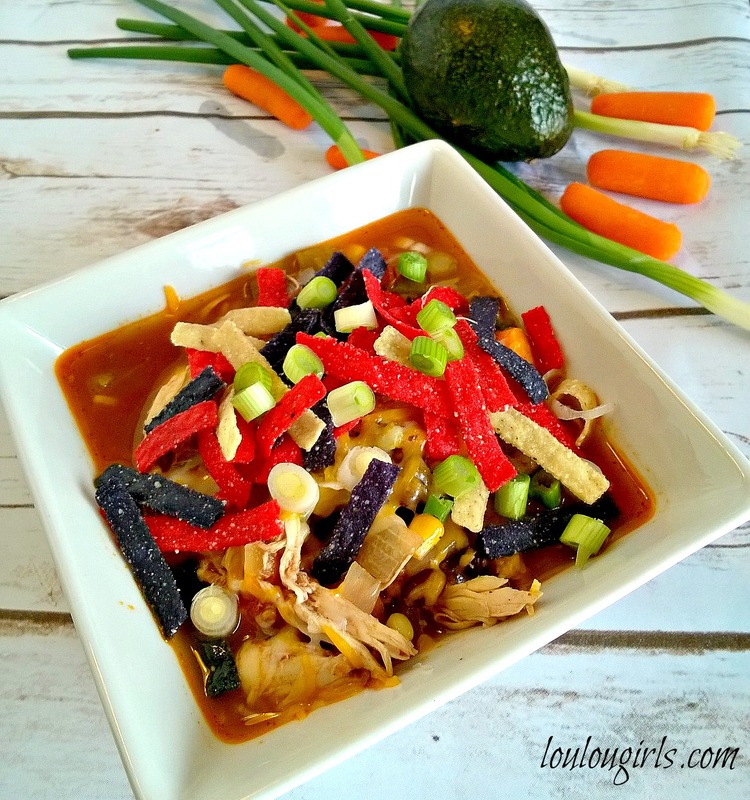 I love tortilla soup and this recipe looks great!! I can't wait to try it out! Thank you for sharing it with us over at the Welcome Home Wednesdays Link Party! !